Sports Massage Therapy Schools teach massage therapy techniques that allow therapists to practice sports massage in private practice, as a sports team therapist, as a therapist in a fitness center, and as a valued team member in a rehabilitation facility. A sports massage becoming more recognized as a intricate part of an athlete's rehabilitation program after injury. Therefore, sports massage therapists are sought to provide massage services. Most sports massage therapists are self-employed and enjoy the freedom of making their own work schedule, however some are now being hired by sports teams for their abilities to work with athletes before, during, and after competitions or games. In a massage school that teaches primary sports massage, you will learn how to provide pre-event massage to prepare muscles to perform without injury, post-event massage for treating muscles after an event and maintenance massage for between events. You will also be trained to work with athletes who have scar tissue and adhesions from many years of sports and injuries associated with the sports. In 1989, the London School of Sports Massage opened it's doors as the first to offer specialized training in Sports & Remedial Massage in London. It remains a leader in the sports massage field, with a quality reputation of crafting what is now a recognized discipline in massage therapy. The Sports and Active Isolated Stretching Specialty program at this school is well-known as being a thorough and intense training. Accepted in the sports industry as an exceptional training school, NMTI teaches therapists how to prevent injury and enhance athletic performance. SOCHI offers a 740 hour Advanced Professional Massage Techniques program, and provides students training in massage therapy with a focus on Russian Medical Massage and Sports Bodywork. ICSMM offers a Hybrid Learning Model which is used by many of the top career schools and enables you to learn at home. 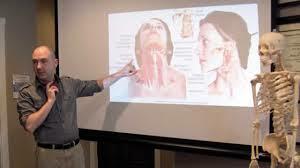 Unlike traditional educational models which require substantial classroom lectures and very little interactive or hands-on work, the Indiana College of Sports and Medical Massage focuses on career preparation. You prepare at home, according to your own schedule and spend a full day each week in a class and laboratory setting, putting what you’ve learned to work.